.BirdDog is an Australian company based out of Melbourne, with what they describe as "a team of innovative and slightly quirky engineers". Their first project was a major challenge - to create an NDI codec in hardware. BirdDog News from NAB 2018 - introducing the new BirdDog Mini and the Audio Comms app. 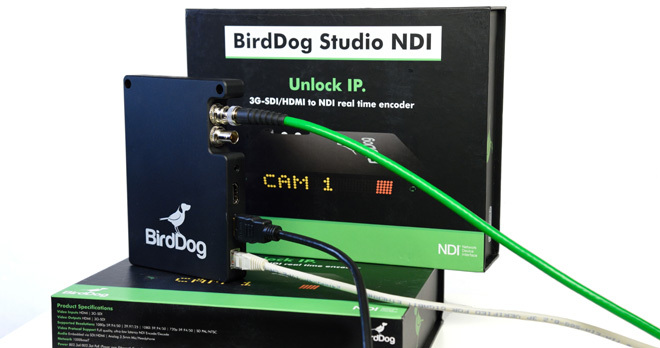 BirdDog Studio & BirdDog Mini enable your existing cameras to be included into a new IP workflow for your live productions. Once you convert your HDMI or SDI signal to IP (HDMI-only on the Mini), the possibilities of live productions are magnified. 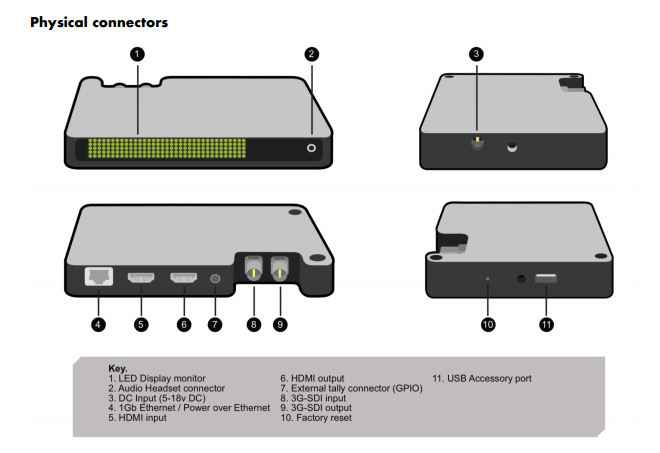 Any network connection can become a live video input into an NDI-enabled switcher. Convert your baseband digital video (SDI/HDMI) to full-quality NDI and take full advantage of flexible IP networks. No need to run long SDI cables or purchase expensive video routers, simply access your live video in real time anywhere on your network. BirdDog does Tally the "right way". BirdDog Studio can display Tally onboard and externally via Tally out. Due to our superior NDI integration both Program and Preview tally indicators are provided. All bases are covered when it comes to power. BirdDog Studio can accept power input from the Ethernet cable via PoE technology. Don�t have a PoE network infrastructure? No problem, simply power via DC or V/Gold-mount battery plate optional accessories with power pass-through (coming soon). Control and configure multiple BirdDog Studio devices through the admin panel which is accessible via a web browser on both mobile devices and desktop. SDI and HDMI outputs are always live allowing you to convert from SDI to HDMI and vice versa. Connect a monitor to BirdDog Studio's outputs or simply use them to loop out to other gear. As additional features are developed they will be released at no cost. To make updates easy a simple site deployment wizard will ensure all BirdDog Studios in your facility are updated, and are all running the same software version.